Inventory check, annual audit, stock count - no matter what you call it, this is rarely the high spot of anybody's year. Traditionally, many organizations shut down for the annual stock check, and everybody gave up their usual job for a week of counting widgets. But we suggest that it does not have to be that way. Our objective is to completely eliminate the annual stock count, but if that can't be achieved, then at least we can reduce the time required. One real world example is presented by one of our clients, who runs a lumber yard. A stock count took typically a week, and to avoid confusion, all receipts and deliveries were canceled for that week. So one week in fifty two is close to two percent of a year's production. And the results weren't always that accurate. Using our system, the first count was reduced to three days. Quick enough that the count was repeated a month later. When it took two days. The following month, six hours. The systems that we install make data collection easy, fast and accurate, so that data on receipts, issues and movements can be tracked as they are done. Inventory counts are always fresh and accurate. But for some organisations, ongoing material management may not be practical, or budget constraints may mean that the purchase of a system is not realistic. Many of our clients are now taking advantage of our rental options. This makes particular sense when the nature of the business is such that the only requirement, or the only practical option, is for an annual count. It may not make sense to purchase hardware - handheld computers and barcode or RFID readers, for a few days work each year. Better then to rent. 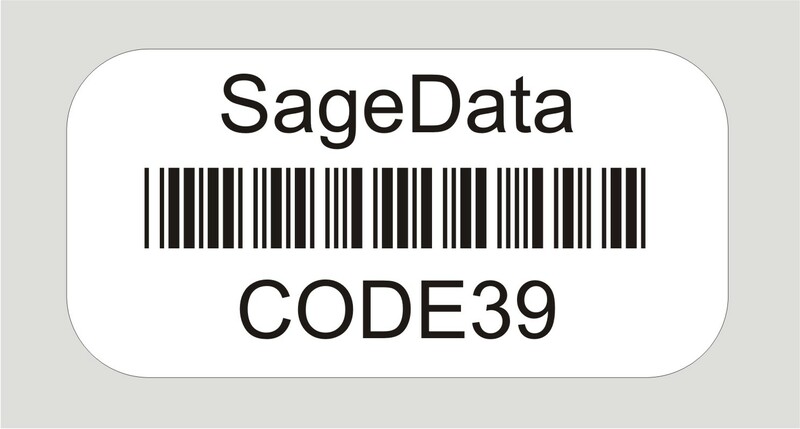 SageData offers several options. A full fledged asset or inventory management system includes both fixed and mobile elements. The fixed portion is usually used at a choke point to track receipts, issues and disposals. The mobile element is used to track items within a warehouse, distributed throughout a building, or perhaps stored in the various lockers of a fire truck, or distributed amongst the nursing stations at a hospital. It may be that the fixed element of the system is used every day, but the mobile element is used only for the annual audit. For these situations we can supply and install the BassetPro fixed system for continuous use, and rent the mobile handheld computers for a limited period each year. The use of a handheld computer helps ensure that the audit is easy, fast and accurate. Renting the units avoids any issues of battery maintenance and software updates in the course of the year. The handheld computers are supplied ready loaded, battery charged, with the latest software, ready to go. For some organisations, the justification of a full time system may be difficult to make. But the pain and time taken to complete the annual audit is both a distraction from the main business and an irritation to many of those required to count the widgets. For these circumstances, we offer a complete audit package. Laptop computer, handheld computers, barcode readers, RFID readers, and asset ID tags in barcode or RFID flavours. Software loaded, ready to go. This approach greatly speeds up the audit process, and enables effective Quality Assurance checking of the counting process. We have applied this to hospitals, government departments, and private sector organisations. Another client of ours runs a distribution centre for office furniture. They were subject to an external audit, used to shut down operations for a week to make the count. After installing our system, the count time was reduced to three days. But that was not the biggest saving. On completion of the count, they used to process the counting slips by spreading them out on the big table and consolidating the SKUs. Used to take up to two weeks to do that and get the information into a spreadsheet. After the installation of BassetPro, the time from the last count to the printing of the first report was reduced. From two weeks. To twenty seconds. They are not going back! The above rental options are the most common, but we are open to alternative strategies. If you have an audit or stock count in your future, and want to save time and get more accurate results, then call or email Doreen Garvin or Frances Casey at the numbers shown below. We will be pleased to help, and to offer a solution that works for you. More than one thousand clients have now chosen SageData to provide products or services. Click here to see a partial listing of our clients. We look forward to talking with you soon, and perhaps inviting you to join the club of satisfied SageData clients. The web site is only the starting point. So if we failed to answer your questions, please give one of our system advisors a call. Frances Casey and Doreen Garvin will help you with any questions you may have about a system that you might be considering. Please call. We use this feedback to help us maintain the most appropriate information on the web.